Hey everyone. Check out the plaza this week to find and collect the sunglasses pin. 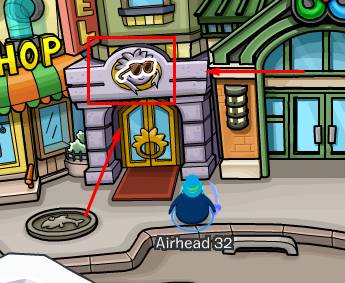 It's located on top of the puffle hotel door entrance.